Preheat oven to 400F. 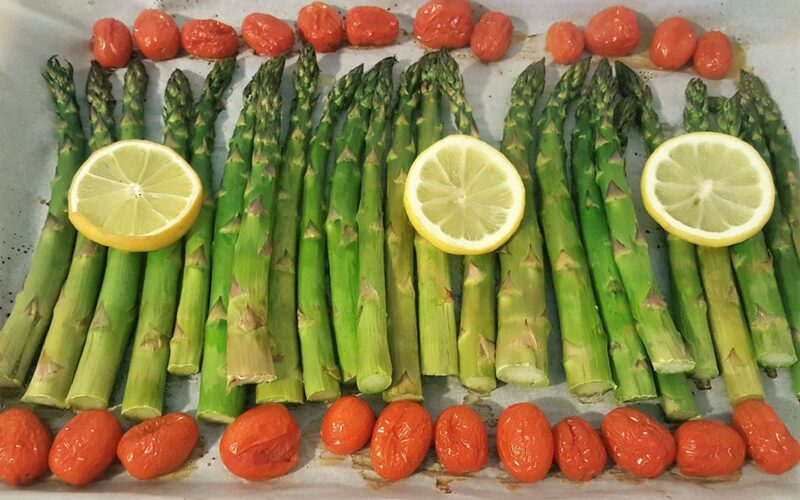 Line a baking sheet with parchment paper, arrange the asparagus and tomatoes and sprinkle with olive oil, add lemon for garnish. Roast for 15-20 min and season with salt & pepper.